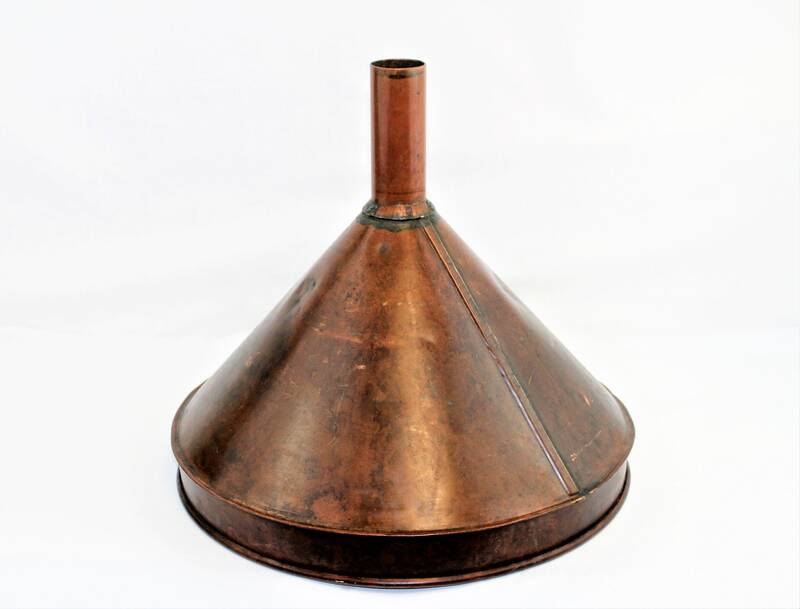 We have for sale an Extra-Large Antique Copper Filter Funnel. 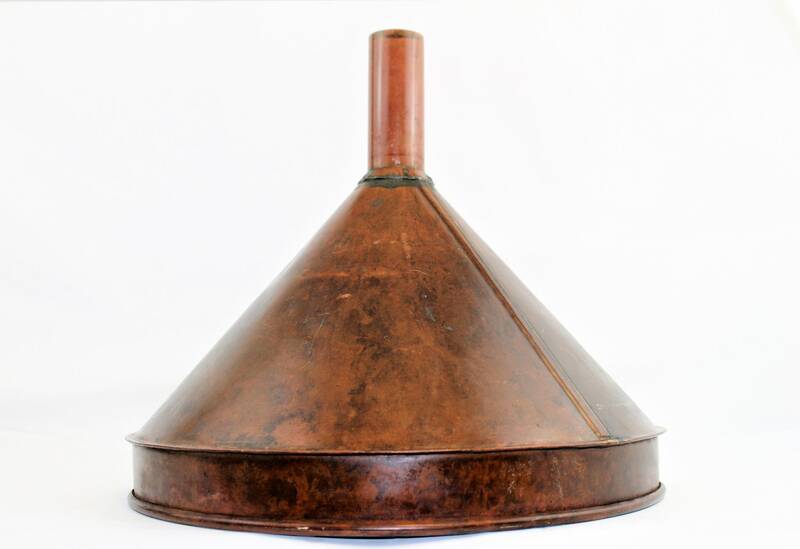 Amazing find this extra-large copper funnel measuring 14 ½” diameter. 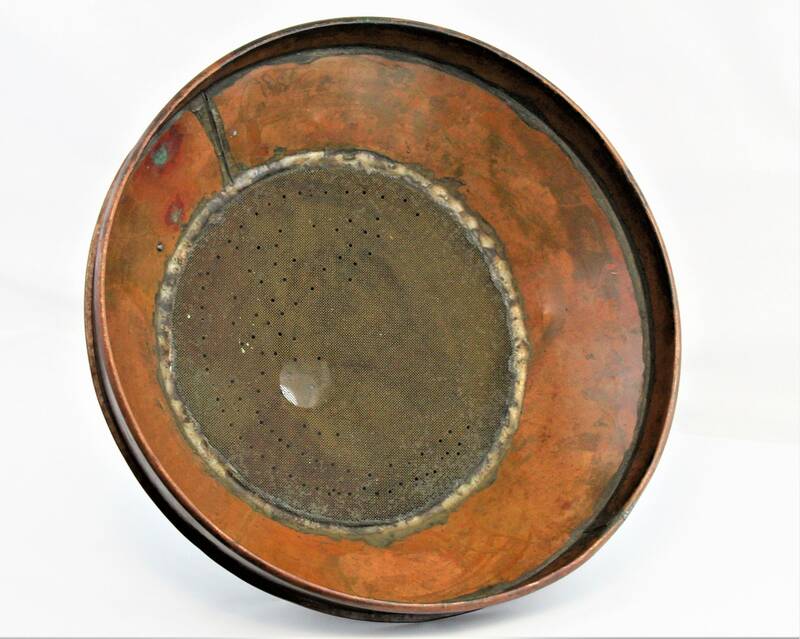 This came out of the hills of Kentucky and I am only speculating it was used in a moonshine still (seriously). 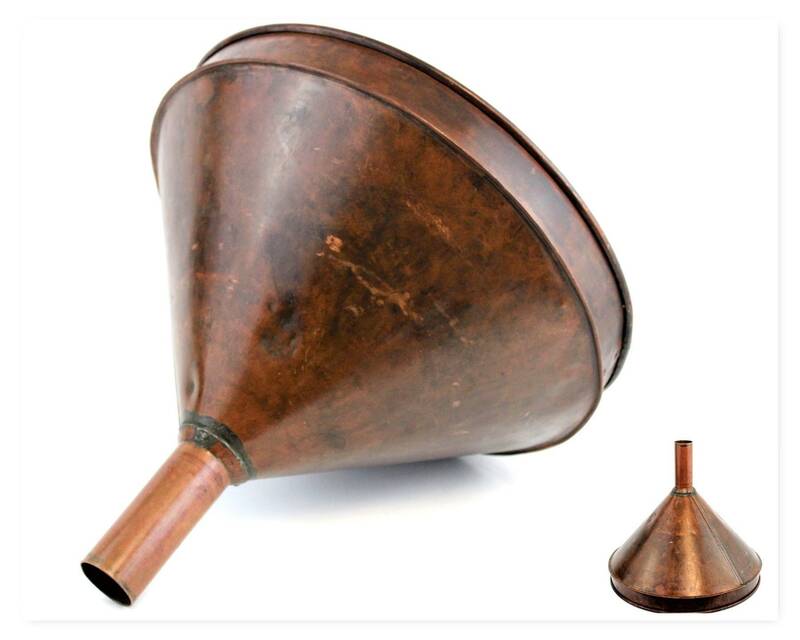 The original intent for such a large filter funnel was wine making in France. 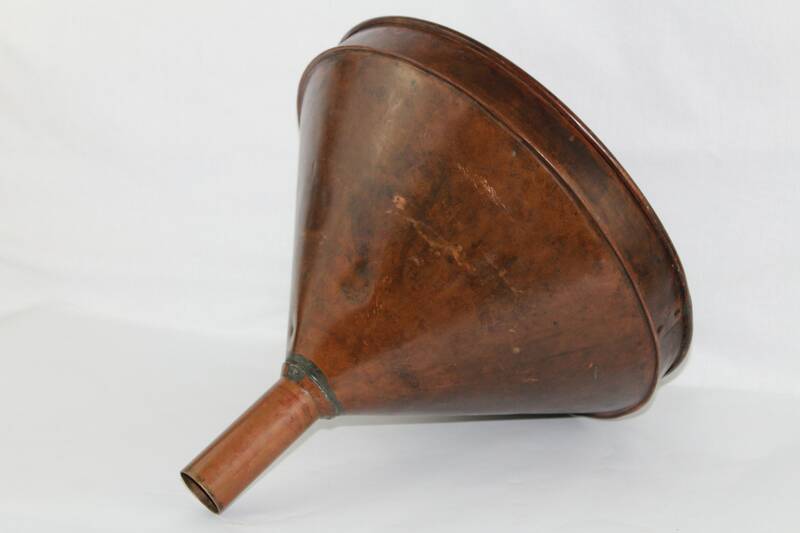 The funnel is 14 ½” diameter, 13 ½” tall, weighs 4 pounds, the screen is intact. 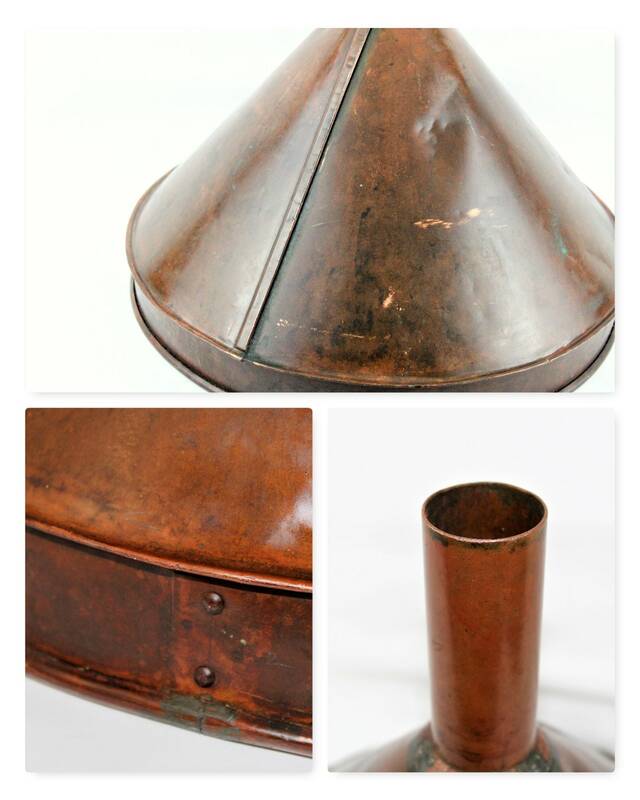 Overall condition very good with awesome natural deep dark patina, minor dents and ding. 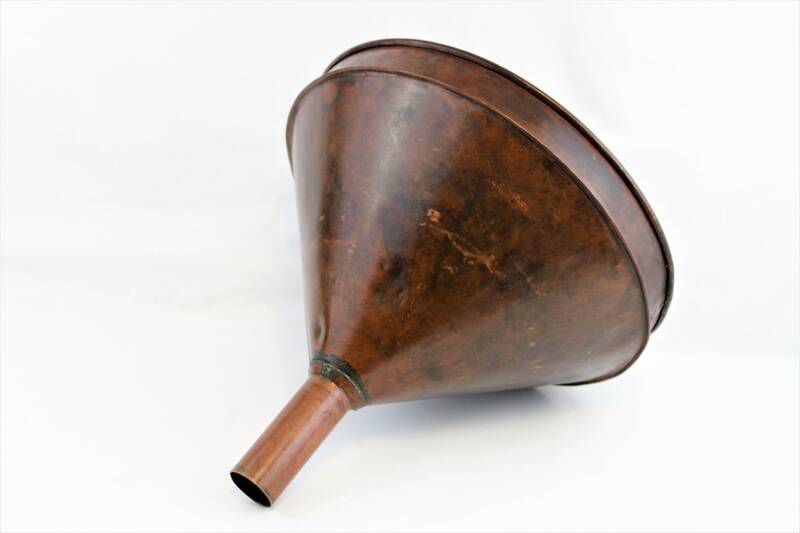 This will make an amazing repurposed hanging lamp or display in your wine room. 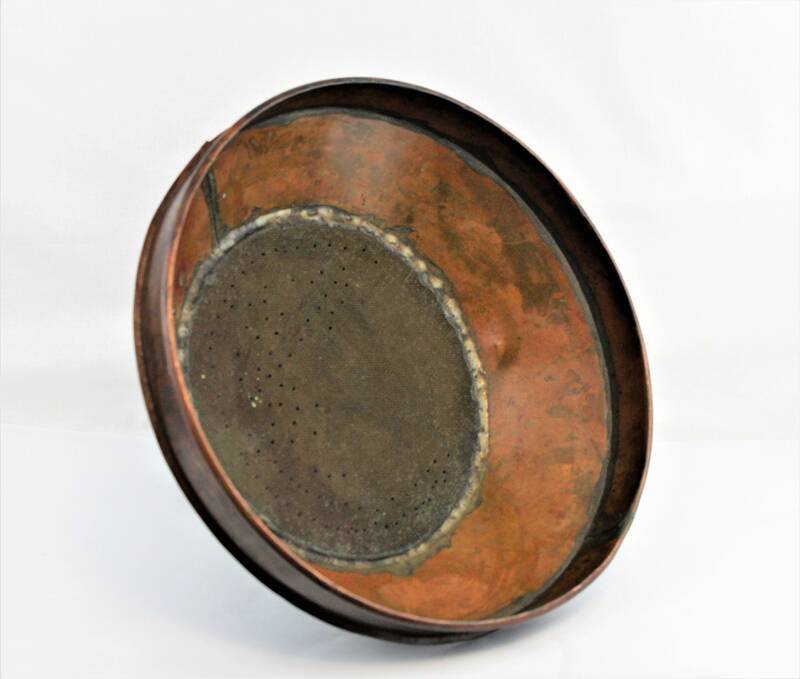 Measures; 14.5” diameter, 13.5” tall. 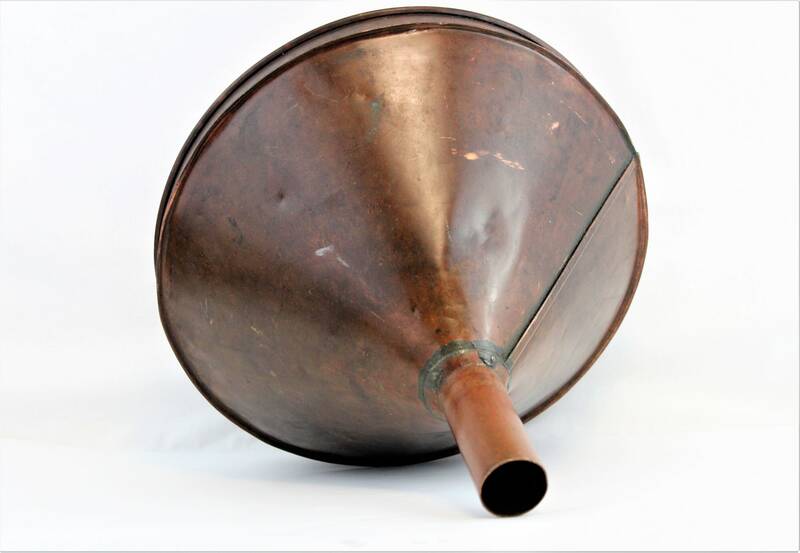 Spout is 4" long with a 1-1/2" inside diameter.